We recently had the chance to review Stephen Patrick Kenny's latest film 'CAPTIVE' here, and soon you will get to check it out on DVD for yourself. The film is set in the year 2021 and 12 strangers have been chosen for a game that will see only one of them survive over twenty-four hours. The killer game which sees each of them infected with a virus that will only do one thing without the cure......kill. The virus isn't like any other as some of the chosen change to a demon type creature. 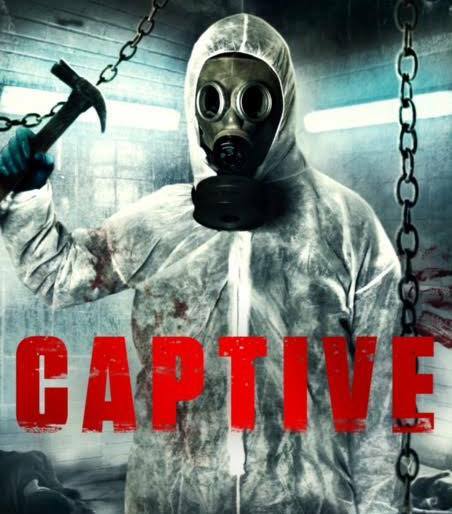 Captive is a chilling story of 12 strangers (lead by The Pigman Murder's Mark Hutchinson's character Dean) as he tries to guide 11 others through a series of tasks if they are to get a cure for a killer virus that they all seem to be infected with. With the clock counting down from 24 hours they have to make some decisions that will haunt them for the rest of their lives....as the decisions get harder, characters are broken while others stand up and become leaders but only one of them can survive this.